Expand your view of gaming, productivity, and entertainment and discover a new realm of panoramic computing with multiple-display. The Active DisplayPort to DVI-D Single-Link adapter is fully compliant to both DPCP (DisplayPort Content Protection) and HDCP (High-Definition Content Protection) ensuring full compatibility and successful transmission of video content. The adapter supports DVI-D Single-Link resolutions of up to 1920x1200 (WUXGA) and all HDTV resolutions including 1080p. 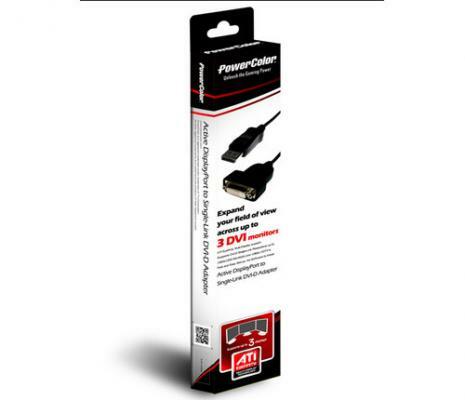 The Active DisplayPort to DVI-D Single-Link adapter supports up to 36-bit color depths delivering the flexibility to meet the needs of most display applications.